Wrong Beliefs Can Ruin Your Relationships. Have you ever looked back over a relationship in your life and wondered how it became so messy or difficult? Often, at the source of our relationship problems are our wrong beliefs. In this series, together with Chip Ingram, we will be able to ask and answer the question: “Do wrong beliefs produce wrong behavior?” What we think about life determines how we live it, so there is power in knowing and applying God’s truth to our relationships. God longs for us to have right relationships, and he longs for intimacy, peace, love and joy to reign in our hearts. 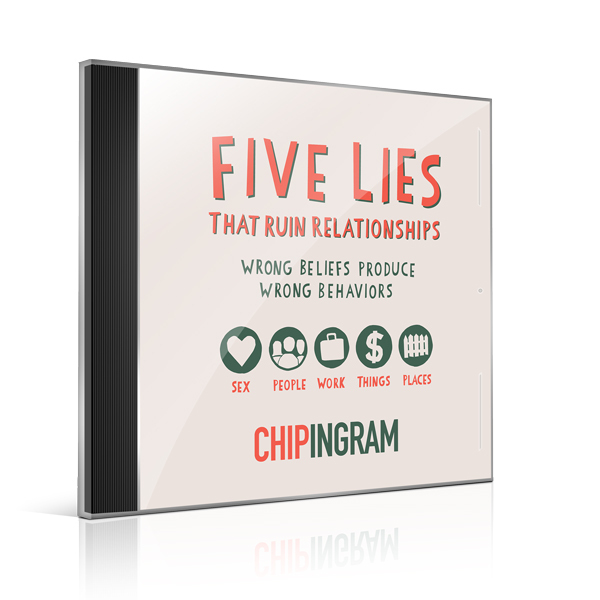 To have these kinds of relationships, we must first identify five common lies we believe. We’ll uncover the source of quarreling, how our words wound, how not to make decisions, and why better things don’t always make things better.